I know that ACARS and CPDLC are 2 different systems, so I can compare ACARS vs CPDLC, but can I do the same comparation between CPDLC vs VDL? Or a CPDLC it’s a VDL? If CPDLC it is a VDL, ACARS it is a VDL also? To give an everyday-world analogy, the relationship between VDL and CPDLC/ACARS is the same as the relationship between 3G/4G and the web browser/facewhatstime app of your smartphone. From a telecommunication point of view, we represent the different functions of a network by different layers. Ideally, one can replace the technology used to implement a given layer by any equivalent technology without impacting the other layers. The VHF Data Link (VDL) is a technology used to implement the functions of the physical and datalink layers. It means that it is a technology designed to carry any digital data directly from one "device" (aircraft or ground station) to another (resp. ground station or aircraft), independently of its actual content. There are different versions of VDL, namely modes 1 to 4. The current deployments of VDL in europe by ANSPs use VDL mode 2. ACARS is ... a more ambiguous word. It predates the OSI model, and at first it described both the application (text-oriented transmission) and the point-to-point communication technology. Nowadays, pilots use the word ACARS to talk about the application (the printer in the cockpit), and that particular application can, as any application, use any underlying link layer (VDL, HFDL, satcom...). But the old meaning of "ACARS" to describe the original blob of "point-to-point technology + network + application" can still be found today, for example in the acronym POA (plain old ACARS). By the way, the point-to-point technology originally used by ACARS is also called VDL mode 1. Not the answer you're looking for? 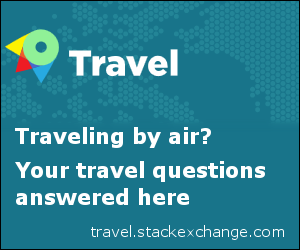 Browse other questions tagged acars cpdlc or ask your own question. Is implementation of CPDLC mandated by EASA? How do SIGMETs arrive in a cockpit on a modern longhaul flight?